2003 was the year of the big heatwave all over Europe. Sadly this didn’t only influence the wine quality but had a direct impact on human lives. But of course this isn’t the topic here. 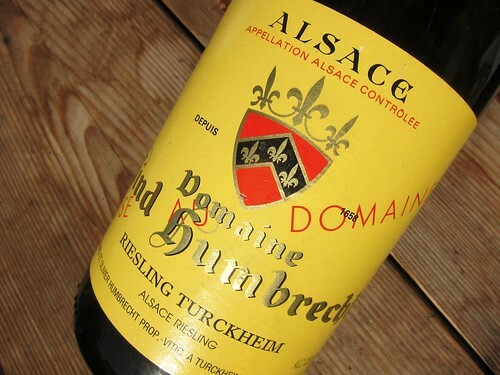 We’d rather talk about joyful things and were curious about how this 2003 Alsatian Riesling de Turckheim by famous producer Zind-Humbrecht would show. It is a bottle that was bought in a wine shop in France with the quite big price tag of about 20 Euro and we poured it shortly after for a casual dinner.